You understand the importance of SEO for your business and its online visibility. But just throwing up a bunch of blog posts and articles isn’t nearly enough to get the job done in today’s crowded, competitive marketplace. Instead, think quality over quantity. Carefully crafting – and curating – your online content is vital to how Google perceives you and helps determine if your offerings are valuable to the people searching online. This includes adding quality links from well-respected and trustworthy sources, and being smart and calculated with your keyword research. 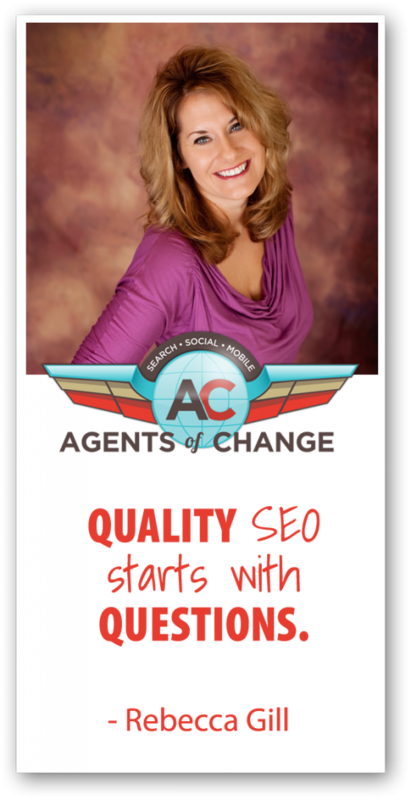 The importance of building high quality links has never been greater. 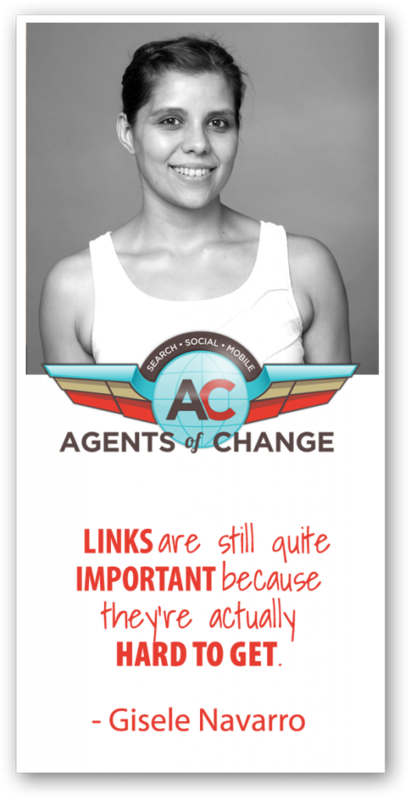 But you can’t fool Google…grabbing any and all links will not boost you in the search rankings. You need to prove to Google that you’ve earned the spot by seeking out the ones from more authoritative and trusting sources. And when you research and contact these trusted sites, you need to take care with how you pitch them. Sending out a generic copy in a pasted email to a hundred people is only going to ensure your request hits the spam box or the trash. Instead, make sure you’re creating a pitch through thoughtful outreach. Include a subject line that compels people to open your email – that shows you’ve done your research and that this impacts their business directly. Local SEO is an effective way for businesses to promote their products and services to local customers online at the exact time they’re looking for them. By following a strategic formula that incorporates both original content and reputable curated content, as well as the often overlooked value from videos and reviews, your content will create a buzz that Google and other search engines and directories are looking for. 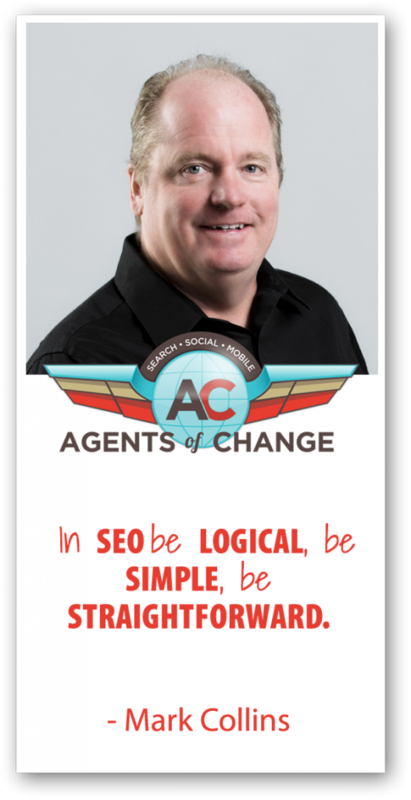 Rich: He has decades of marketing experience with a proven track record of SEO success. He has provided measurable gains and website traffic to hundreds of small and medium sized businesses in New England and across the U.S. His company, On Web Local, specializes in helping businesses gain local or regional website traffic that converts into real sales volume. 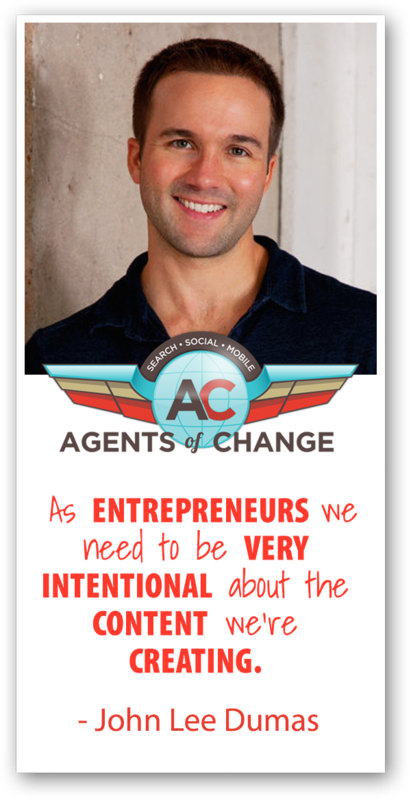 He works as a volunteer mentor at Entrepreneurship For All, whose mission is to accelerate economic development and social impact through entrepreneurship in mid sized cities across the U.S. He has developed a 6-step plan which any local business can follow to get their website to rank on Google page one in local search results. I’m very excited to introduce Mark Collins. Mark, welcome to the show. Mark: Great, and thank you for that glowing and very detailed introduction. Rich: No worries. So tell me a little bit more, though. How did you get interested in SEO and local SEO specifically? Mark: I started tinkering with web development in the early 2000’s, and then when I was working with a bigger company I was the person that did all the ads and things like that. I dealt with radio stations and websites and then started working with a web developer. Then I started doing Google Adwords with her and then as soon as I found SEO I got bit by the bug. It was just fascinating to me that we were paying $3 a click for these ads, but if I got to page one without having to pay the $3, that was really cool. And not only that I would stay on the front page for years at a time versus just 30 seconds with an ad. 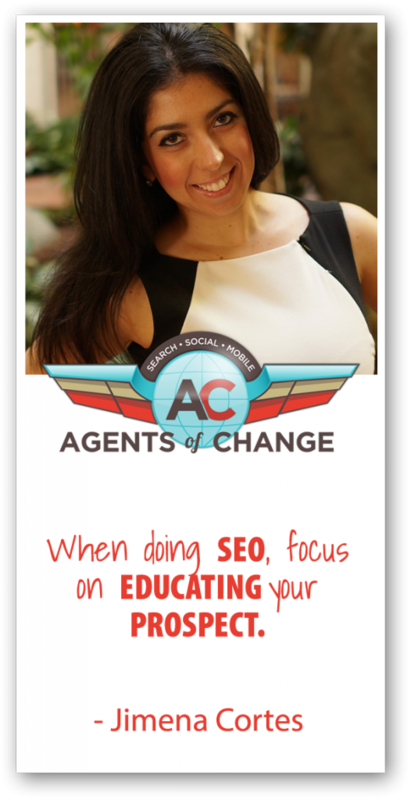 So the idea of SEO to me was like a way to replace the advertising budget or reduce the Adwords budget. Rich: So you’ve definitely taken a focus more on the local side of things, what’s the difference between local SEO and organic or traditional SEO as you see it? Mark: The difference is really in the local area. It’s Google page-centric, because your Google My Business listing page is built on their map site. So you’ve got to have an address, you’ve got to have a phone number, and you’ve got to be in the local area first of all. But second of all there’s a whole cottage industry that’s grown up around the idea of local business directories like Hotfrogand Merchant Circleand Manta, and those things are important. But getting back to the website itself, you want to talk about the cities and towns that you service. So if you’re in Providence, RI and you do a lot of business in Cranston and Warwick, you should have the words “Cranston” and “Warwick” on your website. Rich: Ok, so that may lead into my next question. If you’re a small business looking to improve your local SEO, what are some of the first steps you should take? Mark: If you look at my website I have the 6 steps or the 6 phases to building up your SEO. But the first thing I do in the first month is I look at the website itself, and I make sure that not only do they have their keywords on the site for their product or service – basically your keyword is your product or service – but then I make sure that we’re talking about the fact that they’re in a specific area, have a complete address, zip code, and a phone number on the site, that they’re talking about the towns and cities that they service in the area. Rich: So you had mentioned Hotfrog and a couple others, how important are these directories when it comes to the local search? Mark: They’re an important building block. The difference is if you talk to Yext and Yodel and High Boo, those kind of companies will tell you that you need to be in directories for the rest of your life. I don’t believe that. I believe that they’re about a 20% factor in your role of a local footprint. So they’re important, but they’re not unbelievably important. Rich: How do we get into these directories? Is it a matter of just going to those different websites and putting in our information, are some paid, are some free? Mark: Most of them are free. I’m providing listeners to your show with a link where I actually give you the Top 40 list right in the link. Rich: Ok. I know there’s some services out there, maybe Yext is one and I’m more familiar with Moz Local, that will do the initial push out to all these directories so your information is consistent. Is that a good way to go or should we basically be just doing these by hand? Mark: It’s better to do them by hand because when I do them by hand I’m making sure that we upload pictures, that we name the pictures, that we put in a video link, and that we mix up and vary the wording that’s going on the different sites. I think some of those services are using data aggregators where they just repeat the primary information on the Google page, which is something that I actually recommend. So I recommend you do what they do, but I also believe you need to do a little bit more manual, old fashioned elbow grease and make sure the listing is a little bit more unique than the one you did before. Rich: So if I’m understanding you correctly, certain information should be consistent like name, address, phone number. But then maybe the description should be different? Mark: The description, and a lot of the sites allow you to add other things like keywords tags right into the site, you can type in the keyword tags that you want to hit. And then getting further into this, one of my other steps on my website is vertical or industry specific categorized directories. So when you get into a directory – eLocal is even better – they have very detailed categories so you can list yourself in a business category and Google looks at that category listing within a big directory and gives you more points for it. They look more heavily at categorization than just the listing itself. Rich: How about directories that are a little bit more niche-y, something like lawyers.com, or findatherapist.com, or more geographically-centric like portlandmaineguide.com? Mark: They’re all highly recommended. So one of my phases is to do vertical industry and industry specific, and in that process I always look for something germane to your profession. So if you’re a therapist and you’re in the therapy guide, that’s really going to help you even more as well. So yes, vertical industry directories that are specific to your industry, Google knows that and it’s going to give you more points for that no doubt. Rich: Mark, if I am running a business and I don’t know what the guides are out there that I might get into – let’s say I’m a lion tamer – how might I find directories that list all the lion tamers out there? How would you do that for one of your clients? Mark: You really just have to look for it yourself and Google. I go to Google and Bing and a few other search engines and I start looking for it. And then ask them what their trade publications are and what information they’ve received from trade shows and things like that. You’re usually able to find one or two. You don’t need a hundred of them really, you just need a couple. Rich: Alright. Now you mentioned that one of the first things you do is you look at these people’s websites, you make some changes to the website like putting some town names in. What other changes should we consider when we’re trying to get into the local search? Mark: Well I think it’s more about at that point going to general SEO and going with the new thinking, which is to add related keywords. I have a page that I’ll share later with listeners that talks about related keywords. So in that page I made a good example. The other day I had a friend that was looking for an awning to put over the front of their porch. So I just typed in the word “awning” into SEMRush – which is a software like Moz Keyword Explorer, or Google Keyword Planner – and it gives you the traffic on the word. So if I was helping an awning business and you put in the word “awning”, the traffic on that word is 74,000 hits. That’s a pretty high volume word. So if you have 3-4 strong competitors already established in your area, you want to put the word awning on your site, but you don’t want to focus too hard on it. What you want to do is make sure you have the word “canvas” on your site, because the volume on that is only 2,400. So looking at the volume if keywords, if you’re a business person you can go to SEMRush.comor you can use Moz Keyword Explorer, and they both let you put in your product and service words that you’re using already, and it will spit out a related keyword that doesn’t have as much traffic. And then the further thing that you can do, once I found “canvas awnings”, I then came up with “retractable canvas awnings”, “retractable canvas patio awnings”, so you just want to make sure you add related words in. The other thing you need to add is synonyms. So if you’re a computer store, a lot of people search for the word “computer shop”, so make sure you add the word “shop”, that’s an obvious related keyword. Other people will look for the words “company”. If you’re a lawyer you’ve got to have the word “firm”, because people don’t look for a “law company” they look for a “law firm”. So those are just some obvious related keywords you should add to your website. Rich: So earlier you mentioned Google maps when we were talking. What is the difference – if there is one – between Google maps, which I think we’ve all used when we want to get from place A to place B, and the local pack, which is that 3-pack of listings whether they’re 3 bagel stores, 3 locksmiths, whatever? Are those the same database, is that the same information, or are those two different things entirely? Mark: The Google local listing is built off of the maps system. So what will happen is on a cellphone if you go into that 3-pack and you start looking at it, on a mobile cell phone you actually get 4 listings. So if you’re #4 in that list you can actually get some business, which is wonderful on a mobile device. But once you click into one of those listings you’re then in the world of Google maps, and people do search in Google maps. So the first thing people need to know is you need to have a Google local listing page because it will show in the search results. But once you’re in the world of maps you can still get business. So the better job you do in detailing that Google local listing page, the more information you put in it the better. Now the big breakthrough in that world is pictures. You need to put up pictures of the products and services that you offer, upload them to your Google local listing page. And here’s a tip, name the picture what is in the picture. So if you’re selling awnings and you have a canvas retractable awning, put “canvas retractable awning” as the name of that file. It seems to me that Google is reading those file names because it doesn’t really let you add names to the site, but it does let you add them to the actual file. So that’s an important thing. Rich: So you’re saying name it something like, “retractable-canvas-awnings.jpeg”. Like the file name should be that. Mark: Yes, that’s a big tip and it’s really been helpful for my clients. Make sure you put up a picture of the building and put “XYZ Awnings located in Providence, RI 02903”. And again, you want to put in your town name, your city name, and your zip code. And then you could put up a little picture of 5 towns and you could put, “servicing Providence, Cranston, and Warwick”. And then in the next picture put maybe a few zip codes. But again, we want to be careful not to stuff each picture with 27 zip codes and 27 towns. Just like anything else you learn in SEO, it’s a light touch. If the picture really talks about an awning, call it an awning, if your business is in Providence, put in Providence. If you service a few towns, out them in there, but I wouldn’t put 54 town names in there either. Rich: There’s a difference I think between servicing an area and having a location there. So what would you recommend if I had an import/export store and you have like 5 locations around the state, on your website would you have one page that lists all five locations, would you break them out into 5 individual pages? What might be your recommendation in that situation? Mark: It depends on how much is going on. First of all you have to list all 5 locations on your website. That’s important because you’re going to create a separate Google page for each one of them in their area. And then I would make a link back to that site and make sure it’s specific to that. So in the end it probably is a good thing to have a separate page because you can create a separate link. So the answer is you should probably have a page for each, but on your contact page you should also list all 5. So the answer is both. Rich: Both. Ok, so when you say “Google page”, is that the same thing as a Google My Business account? Mark: Google My Business local listing page. What I would do is if you have 5 locations the main office one would be “XYZawnings.com”, but the one in Leominster, MA would be “XYZawnings.com/leominster”. And then I would put a link to that page on the Google page itself. Rich: Ok. I’ve heard that getting reviews is increasingly important for local SEO. Do you find this to be true, and if so, how might we go about getting more reviews or what are some of the best tips around getting reviews? Mark: Reviews are gigantic. There was a study done and reviews now are 13% of the formula for getting into the 3-pack, and they’re 7% of the formula for getting into regular search results. I’ve got a link to that study from localseoguide.com, it’s right on the page I’m going to provide. But you want to use a natural, organic process to get reviews. If you’re going to send out an email to all your customers, that’s a good idea. But if you’ve got 10,000 people, send out 500 a month just asking for reviews. Google doesn’t like it if you have no reviews for 3 years and you get 27 reviews in a month. They don’t actually count them all, so you want to layer them in slowly. 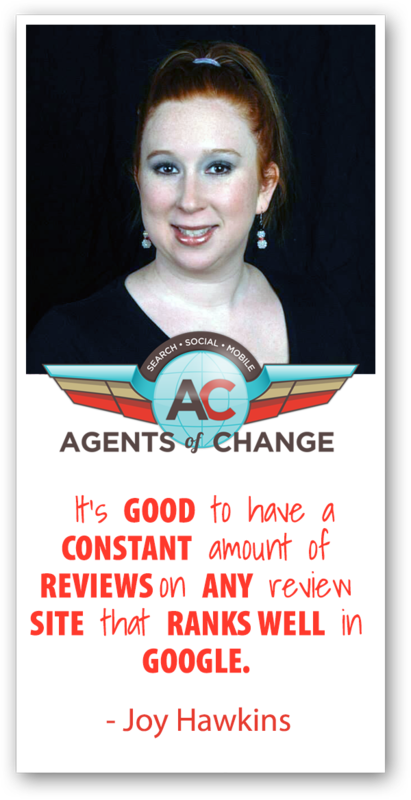 I like to tell people in reviews to take a patient, measured, slow approach and get a couple of reviews every month. And it’s easier to do it when you’re in the flow. Rich: Yeah, I find that’s always a great idea and then so difficult to implement. And I know at flyte we go through the same thing where we’re like all these people are saying great things about us, and we’ll go out and we’ll ask 5 people for a review and we just forget about it. And I think it’s just so critical to kind of build it into your processes right off the bat. It’s like once a client has completed a project or made a purchase, ask for that review, find a different way. And of course, different sites are different, I know that Yelp for instance tells you never ask for a review in their terms of service. But other places it’s a little bit easier to get reviews. Do you think that there’s one place that’s better than other places to get reviews, or do you subscribe to a get reviews wherever you can kind of a mentality? Mark: I still think Google, Facebook, Yelp, Yellow Pages, Thumbtack, so there are some of these sites you just got to think about the site itself. How big is the site, how old is the site. Because when you get in the world of directories, there are 10,000 local directories, all those little tiny directory sites offer reviews. So I don’t think a review on a no name site with no domain authority is going to help you. I do think it has to be a bigger, higher volume, higher domain authority site in the first place. Rich: Ok. So another big component of local SEO from what I understand is getting inbound links. So what type of link building strategy do you recommend especially in terms of local SEO? Mark: Well local SEO obviously we talked about big name directories that have been around forever. We talked about vertical industry directories. But what I do for people is I do give local businesses a little bit more of global SEO. I do go and grab profiles and links that make sense for them on bigger domains. So let me give you a great example. A first rate example would be Slideshare. LinkedIn owns Slideshare.net. LinkedIn allows you to post a Powerpoint presentation to their site. If you put it up there you’ve got an inbound link from Slideshare. Bang. It’s a great link and you’re providing valuable information, it’s a totally helpful thing to do, people search that site all the time. The other one is if you’re a little business, just creating a Twitter and Pinterest account will help your SEO. But again I want to make sure that if you create social media accounts that you use them and monitor them. I don’t want you to make 27 social media accounts, but make 3 or 4 good social media accounts and actually use them and interact on them. And that will help your SEO because you’re going to get click throughs from your post. But other sites include sites that I’ve found over the years Foursquare is free but if you pay the $20 you get a better listing and that helps your SEO. Beyond that Alignableis a new networking type of site that seems to help SEO quite a bit. But within the world of directories, Merchant Circle, Storeboard, these are directories that offer guest blog posting on their sites and I found that it’s helping to get more information into that site and it’s a good authority site. So you can put up a blog post in Merchant Circle now which is kind of cool, it helps. So if you’re a little guy and you don’t have a lot of opportunities to get a guest blog out there, try that. Rich: So how about things like getting links from local businesses? Let’s say that you’re a bike rental place and you notice that some of the local hotels and B&Bs have those local resources pages, and maybe your competitors are on their or there things people can do. Does it make sense to reach out to those type of sites to get inbound links to yours because there’s that geographical related component to those links? Mark: I think those and two other sources do that for sure. Another one is going to be getting a link from a local radio station or a local paper. That’s really going to help because they’re a more powerful domain than even a local company. And then the third one would be charities. I don’t know if you’ve heard of Phil Rozek? 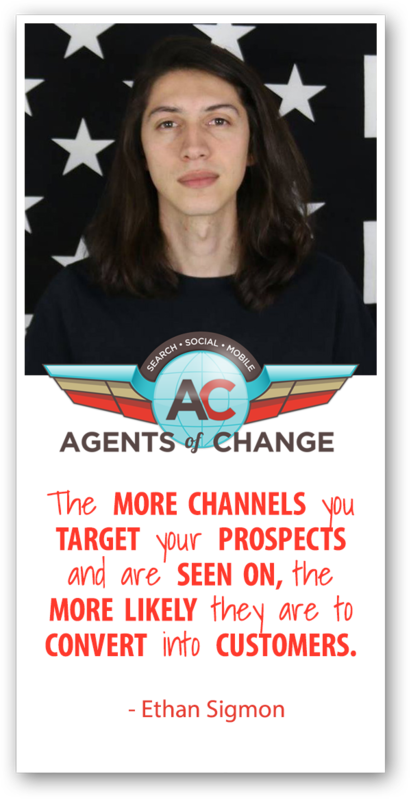 He’s an SEO guy that I follow and he talks about charities being powerful. So if there is a local charity in your area, getting on their site is going to help you. So help them get some money and they’ll help you with a link, and everybody wins. Rich: Alright. What are you seeing when it comes to small businesses doing their own SEO? What are some of the mistakes that you’re still seeing people make out there? Mark: They’re doing the old fashioned stuff, they’re trying to stuff a whole bunch of keywords into their meta titles and there’s just too many words. You want to use a light touch. If you’re page is about a certain product or service, just talk about that product or service and don’t stuff in other words. I think people miss the boat on SEO is germane to the page. So each page should be talking about a specific thing. The more specific the better. And don’t cloud up all your pages with all kinds of different words that don’t relate. So be logical, be simple, be straightforward, explain your products and services in detail, then move on to the next page and do the same thing. And again, I’m finding that 7 out of 10 sites that I look at don’t have Meta titles, Meta descriptions, done properly- because they were done 5 years ago – or they’re not even in there. So that’s huge. Just putting those things in is enough to give you a little boost in SEO. nd the same thing with alt text for some reason. Alt text is becoming very powerful, they want to see that now to help figure out your site. Rich: Last question. What changes do you foresee in the future, puttin on your turban with the little seeing eye there? What do you thinks coming down the road in terms of local SEO, what do you think we’re going to have to change or adapt to in the coming year or years? Mark: I think two things. I think everything is going to be more and more mobile, more and more around anything you can do with mobile to make your website faster on mobile. When you get into anything that relates to mobile and SEO needs to be done yesterday because it’s already more than 50% searches are done on mobile and not desktop. So that’s one of them. I think the other one that we talked about was reviews. But I think the one that everyone’s missing is video. I always make sure I set up a YouTube channel, I put up a little video, I set up a Vimeo or a Wistia channel. But then I tell people to post those videos into social media, out the video on your website, let them see you talking, let them know who you are. So I think video is going to be more and more prevalent in social media, and therefore more and more prevalent in local. Rich: Alright. That’s a lot of good advice. I’m sure you mentioned a few resources already but I’m sure some people will want to check you out, where can we send people who want to learn a little bit more about you and a little bit more about local SEO? Mark: First thing is my homepage is onweblocal.com, and right on the front page I list the steps that you need to take and I actually give you the details that you can do yourself. So go there and with the 6 steps you can do that information yourself. I’m also adding a private link to onweblocal.com/seo, and on that page you will see everything I’ve talked about today with a lot more detail. Actual links to the top 40 directories, actual examples of vertical industry directories that you can see, how to fill out your meta titles and meta descriptions properly. For instance, Google just expanded the Meta description, it used to be 150-22, now you can put in up to 230 characters. So that’s more real estate for you to talk about what’s on the page. So there’s opportunities for you to expand the back end of your site, nevermind the front end. Rich: Awesome. Mark, thank you so much for your time today, I appreciate it. Mark Collins is the king of the 6-part plandesigned to help local businesses get their websites to rank on Google’s first page in local search results. 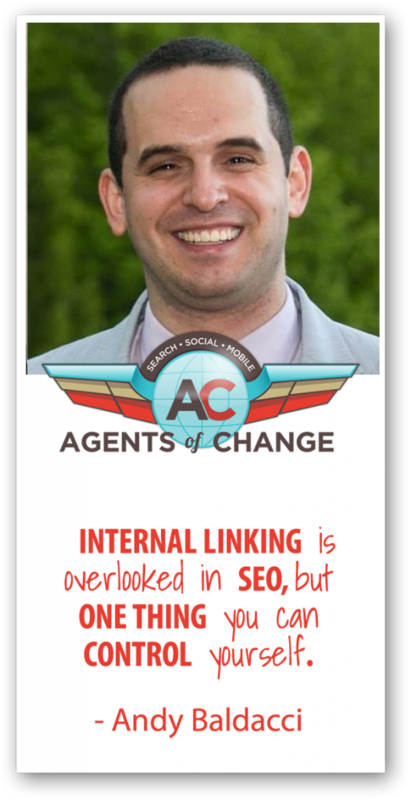 Definitely check out his websitewhere he goes into more detail on local SEO tips and strategies. Rich Brooks is the President of flyte new media, a web design & digital marketing agency in Portland, Maine. He knows a thing or two about helping businesses grow by reaching their ideal customers, and to prove that, he puts on a yearly conferenceto inspire small businesses to achieve big success. You can also head on over to Twitterto check him out, and he’s also added “author” to his resume with his book! If you’ve been in the business world and have a website, chances are you’ve been told the importance of good SEO. It’s also no secret that crafting a successful SEO strategy takes a great deal of time, research and effort, and many feel it’s a job best to hire out to a professional. But even if that’s your game plan, it is still highly recommended that you at least know some of the basics yourself. A smart and successful SEO campaign will help you choose the most profitable keywords, understand what the search engines are looking for, be able to hone in on what your competitors are ranking for so that you can compete better with them, have a powerful link-building strategy, and of course, create compelling copy that not only educates your customers but sends them further along in your sales funnel. Search engine optimization has this reputation for being a mysterious and difficult job, though a very important one. But in reality, a savvy DIY-er can learn to do this effectively themselves if they just put in just a little bit of time to learn it and dig in. Even if you do decide to hire out for your SEO needs, every business owner should at least know how to find where their website ranks, which keywords are and aren’t working for them, and what kind of content is both valuable to the search engines and effective at helping to grow their online footprint. It’s all about prioritizing usability and keeping content and keywords fresh. We’ve all thought at one time or another, if I could just come up with a great idea, it will sell itself and I’ll be rolling in money. Well, it’s not quite that simple. Sure, the idea is the impetus of the plan, but the process that you use to keep it moving forward – through a sales funnel – is what will determine your success or not. Once you’ve got your big idea, make sure you’re being intentional with the content that you’re creating around it. An initial free guaranteed offer is a great way to earn trust and continued interest. And from there it’s creating a continuous system that funnels your customers from one step to the next with continued opportunities for them, and continued revenue for you. 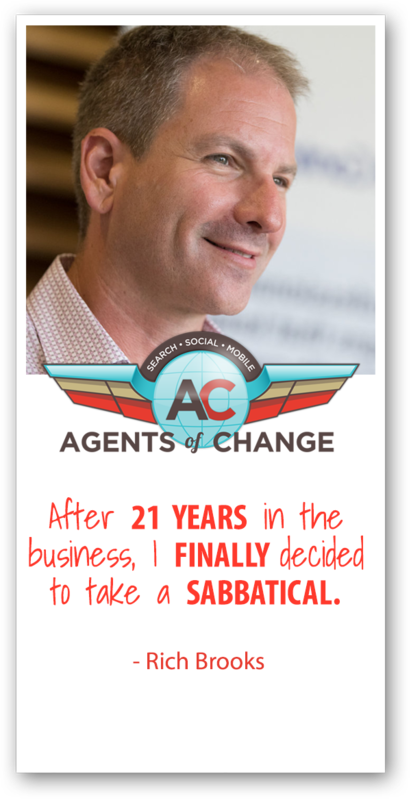 After 21 years in business, I finally decided to take a sabbatical. If you’ve been wondering if you can take a sabbatical, or how to make it happen, I’ll share my process in this episode! And, if you’re not sure why you should take a sabbatical, I’ll share with you why I’m taking mine, and maybe it will resonate with you. As a business you always want to be building loyalty and trust from your clients and prospective clients. 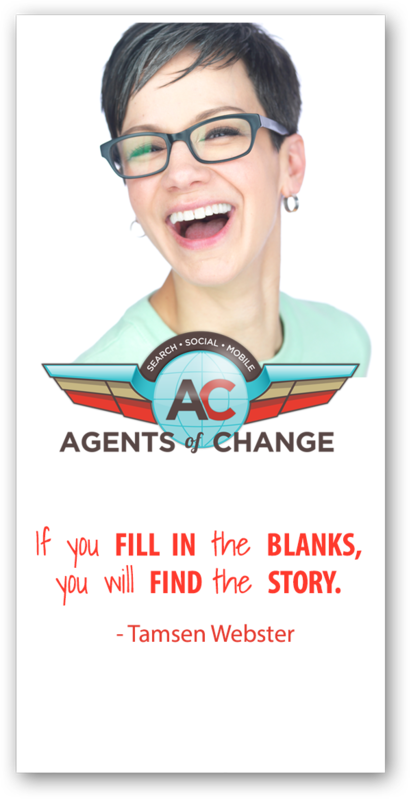 The best way to do that is by telling stories that they can relate to personally. You should think of storytelling as tribe building. And if you put out your story, you’re going to attract like-minded people for your products and services. And the clearer you are with story and the better you can tell that story, you’re going to continually attract the kind of people who are going to grow your business. Businesses are always looking for ways to cut costs and improve customer engagement, and chatbots have become the newest shiny object on the block that have filled the hole as an alternative way to engage conversationally with customers. More importantly, chatbots are available to companies of all sizes, so it allows the small guys to compete with the larger, more established brands. Chatbots have been proven to increase traffic flow, build email lists, provide a more personalized customer experience, and nurture leads. These are all things that every business wants. They also allow you to get creative with offers and promotions, and they’re available 24/7, unlike traditional customer service for many businesses, so you never miss out on an opportunity to engage with your audience no matter what time it is.